Rated 5 out of 5 by arnold1049 from MATCH 3 VARIATION This game represents an interesting variation on Match 3 games. 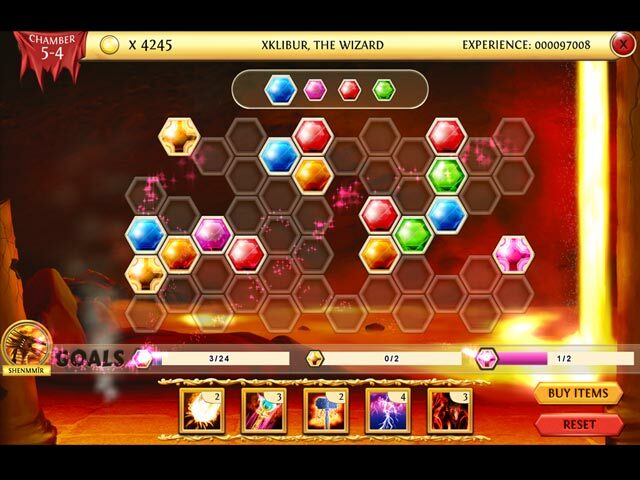 The grid consists of empty spots to place colored dragon scales on to make the matches. The dragon scales of various colors become available to place 3 at a time and must be placed in the exact order they are listed. The initial scale of the set of 3 can be placed anywhere on the board. After the first placement, then spots available for the next scale can only be made in the spots touching the first placed scale. Placing the second scale opens a different set of spots that are available for scale placement. Once a set of 3 scales have been placed, another set of 3 becomes available, with different colors and in a different order. Game play requires concentration and planning ahead so that matches can be made (which clears the board of the matched scales and makes the spot available for additional scales to be placed) and keeping from being backed into a corner where no more plays can be made. Boards become more difficult as play continues. One example is a new board that contains a few already placed scales. These scales must be eliminated by being matched with same-colored tiles. Once all pre-placed tiles are removed the the board has been completed. A challenging and fun game. Rated 5 out of 5 by TabithaMoon from Fairly short but a lot of fun First and foremost: This is NOT the typical Match 3. You are basically creating the Match 3 board, yourself, and eliminated 3 to 5 scales as you do it. Secondly: This is a fairly short game. I was finished in a couple of hours. I used a free game code, though, so it was no loss. My main disappointment is that it ended. I wanted it to keep going on and on. This game was a lot of fun. It was challenging getting used to this backwards way of making a Match 3 (sometimes, Match 4 or 5), but that was part of the fun. It was so relaxing! The music was soft and serene and sounded like a zen garden soundtrack. The sound effects were well done and not intrusive .. unless you used an explosion feature haha. The artwork was good for its purpose. The game area, itself, was well designed and brightly colored in comforting tones. Would I have liked to see more? Yes, because I think they missed out on some potential to make this game be one of those you have to set aside for a while and return to over and over. I would recommend this but with caution that it is a short game. It is very entertaining for its purpose and the length of time you get. 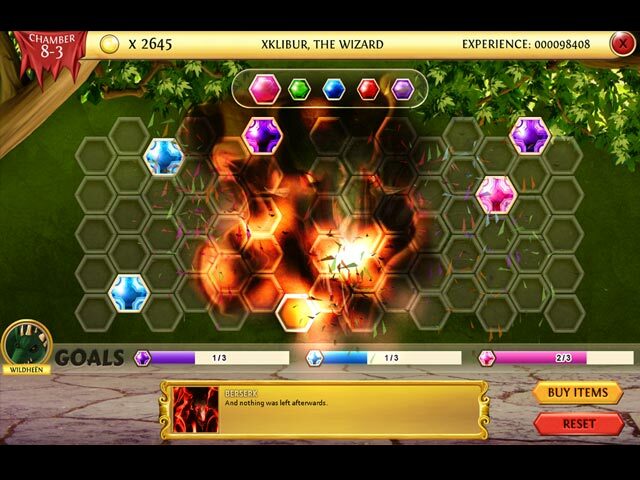 Rated 5 out of 5 by Dayanablack from Great original game with some strategy elements I love this game!. I find it very entertaining and I like the graphics. However I'm not sure if it's a match-3, it's more like a strategy tile-matching game. Difficulty rises gradually, albeit I had to cheat (use items) to conquer the 4th dragon which I think it's a bit too hard. The level 4-4 is very hard. Rated 5 out of 5 by Aus_girl from A Match 3 game with punch! I'm a big fan of Match 3 games, but lately they have seemed a little too repetitive. 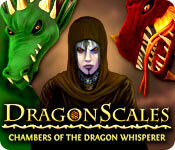 I was delighted to see DragonScales come out. Its game-play is quite different to your standard Match 3s, so if you're looking for something different, this could be the game for you. Each level has a task attached to it, and while a few of the levels are timed, I found the times allowed quite sufficient (even if I did have to retry one or two levels after running out of time). 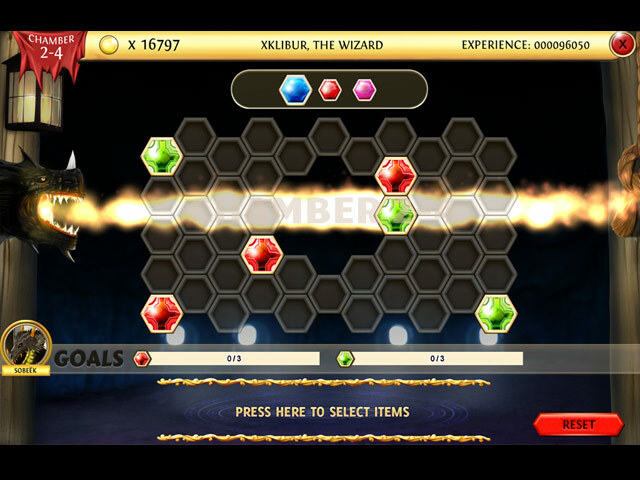 The levels get more difficult as you progress, which is great, and with the majority being untimed, it gives you a chance to strategize your moves. This game is incredibly moreish. My only complaint, if you could call it that, is that 56 levels aren't enough! Rated 5 out of 5 by fredandethel from Really good original little Match 3, - and 4, - and 5! Other reviews have explained the mechanics, I'd just like to add my positive and negative thoughts. On the plus side I've never tried a game quite like it, and each of the eight chapters has something different. Some levels are easy, but they all need you to think out the placing of all the scales before you begin. The last levels in which you have to place 5 scales at a time and make matches of 4 do make me concentrate. Only chapter 6 is timed, and you can always buy more extensions. A few small dislikes - The bonus Dragon Madness zooms into your face, and the way the screen jiggles as the bonus scales are removed is quite unpleasant - I usually close my eyes! You can only play the last level of each chapter in replay, and if you create another profile you can't skip the tutorials. Not very long gameplay, I've already almost completed my second profile, which in itself shows how much I'm enjoying the game. Rated 5 out of 5 by Cornishwizard from Brilliant Game The mechanics of this game have already been explained in previous reviews so I won't bore you with a repeat! I would just like to agree with the majority of reviewers that this is an excellent game that makes you think. After the first few easy levels, placing the scales in a random fashion in the hope that all will be well just doesn't work, you have to give it some thought. Go on give it a go, I'm sure you will agree with me that this is an excellent game. Rated 5 out of 5 by ecblisa from This is an awesome new type of game This game is basically a reverse match-3, in that you place game pieces rather than removing them. There have been games of this general type before, but they are not this precise, nor do they have the great power-ups. This game is special in that thinking over your moves really helps, and you can learn to avoid locking up the board. You get a bonus for making two matches with one move. I've played the game about half way through, and still love it, although it's getting harder. There seem to be some timed levels, since there is a power-up for gaining more time, but I've seen only one so far, and the time was generous. I found the power-ups helpful and not too hard to earn. You get some free ones each time you free - pun intended - a dragon. This is an all-around great game for people who like a good puzzle challenge that exercises the brain cells. Rated 4 out of 5 by meighannc from Interesting Take on Match 3 This game is unique among match 3 type games that I have played in that instead of giving you a board with tiles on it; you have to place the tiles in sets of 3 that are given to you. I found this game challenging and fun to play. I purchased it and have not finished it yet, but my play time is limited. I would recommend this game to anyone that enjoys puzzles. The voice overs remind me of the Mortal Combat guy.